He’s recalling the decision he made to move to Australia a few years ago and figure out if his passion for coffee making was a passing fancy or a life calling. Taking the advice of barista and roaster Toshi Ishiwata, a big name on the Australian coffee scene — “everyone knows Toshi,” he says — Onishi bought a one-way ticket to Melbourne in 2010. He wanted to see if he could “survive with coffee.” That, and earn enough money for a return flight to Japan. On returning to Japan, he worked for a couple of years at Honey Coffee, a highly regarded specialty roaster in Fukuoka Prefecture. That’s where he learned about cupping and the ins and outs of sourcing beans directly from farmers. 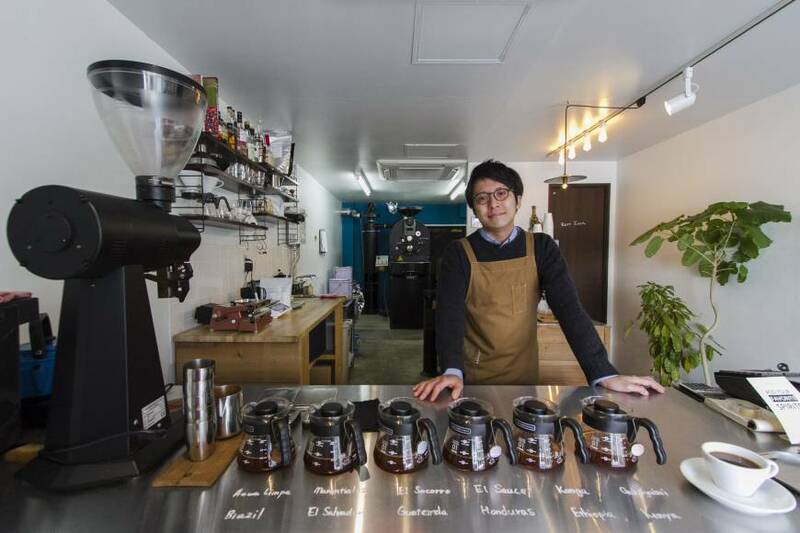 He opened Switch Coffee in 2013, on a quiet residential street near Meguro River, with the simple desire to provide a good “local coffee shop … and serve delicious coffee to the neighbors.” He roasts beans on a Probat roaster at the back of the store, and prepares them in a variety of ways: espresso style, pour-over or served in a French press. You can even have your espresso mixed with tonic water — a quirky thirst-quencher that’s big in Sweden, apparently. In contrast to some of the flashier operations that have opened in Tokyo recently, it’s all very low-key at Switch. Were it not for the fact that it’s just around the corner from Beard, one of Meguro’s most popular small eateries, most people would probably never realize it was there. Well, unless they’d been tipped off. When Denmark’s Noma opened a pop-up restaurant in Tokyo in January, owner-chef Rene Redzepi visited Switch with his family after getting a recommendation from one of Onishi’s friends in Copenhagen. It seems he liked it, too — Onishi says he ordered four different types of espresso, and his signature now adorns a wall. But you don’t need to be an avant-garde gastronomist to enjoy this place. At Switch, the vibe is relaxed, and Onishi keeps things simple for coffee neophytes. 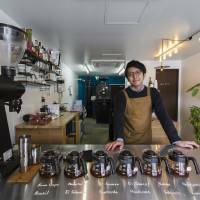 Rather than relying on tasting notes to elucidate the different varieties of beans on offer, he prepares pots of each brew every morning, which customers can sample for themselves. It’s an idea he got from Honey Coffee, and he insists that the samples are good to go for an entire day. “My coffee is still tasty when it cools down,” he says with a smile.